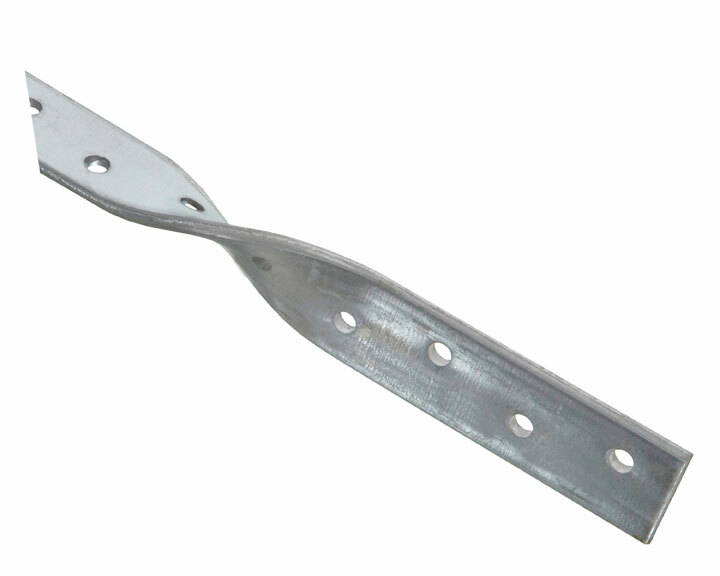 Galvanised straps are manufactured from hot dipped galvanised steel to BS EN 10346:2009 DX51D + G275. 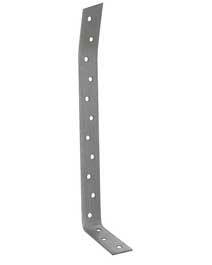 Stainless steel straps BS EN 10088-2 Grade 1.4301 are available to order. 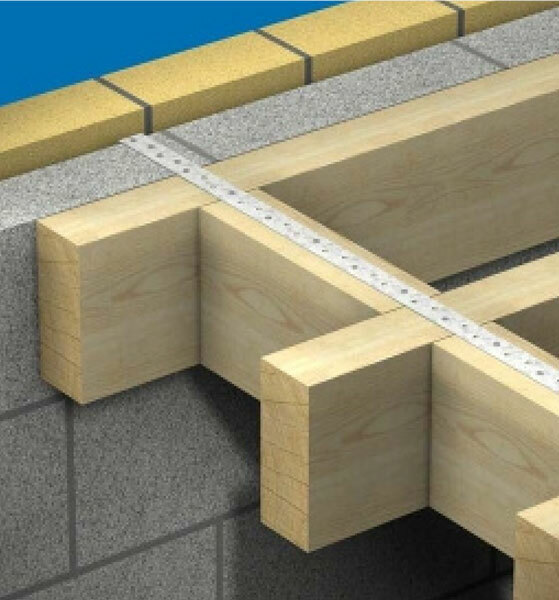 CE Marked and tested to BS EN 845-1:2008 Designed in accordance with The Building Regulations, BS5268 Part 3 and other building standards for vertical and horizontal restraint. Multi holed at 25mm offset centres, restraint straps should be fixed using either 50mm long no. 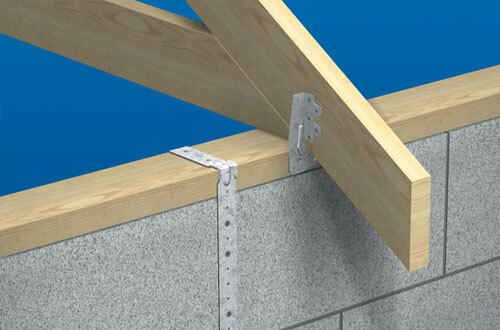 12 woodscrews (using wall plugs in masonry for vertical restraint) or 75mm x 4.0mm diameter galvanised nails into timber. 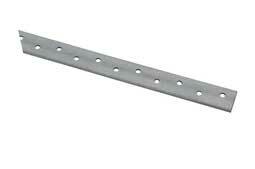 Stainless steel screws or nails must be used when fixing stainless steel straps. 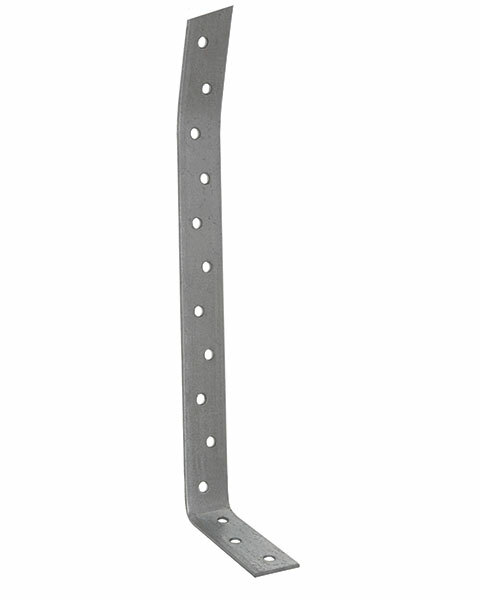 Standard product includes one bend or twist. Additional bends/twists/fishtails charged extra. Increments of less than 100mm will be charged at the full rate e.g. 1050mm charged at 1100mm rate. Purpose made straps are available to order. Overall Length mm Available in 100mm increments from 100mm to 6000mm. The product includes one bend or twist. Additional bends/twists/fishtails charged extra. Increments of less than 100mm will be charged at the full rate. E.G. 1050mm charged at 1100mm rate. 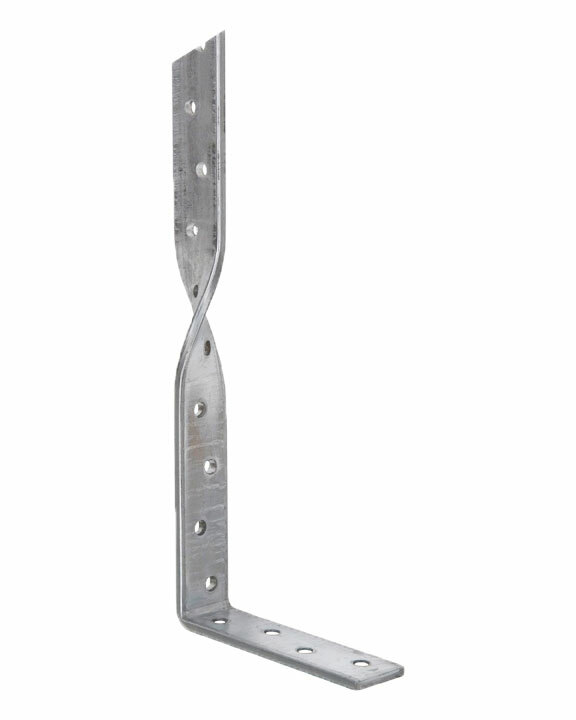 Timber frame holding down straps are produced from galvanised steel to BS EN 10346 : 2009 (G275), or stainless steel grade 304 austenitic to BS EN 10088-2 Grade 1.4301, multi holed at 25mm centres. Standard overall length is 900mm, bent at 75mm to tie into brickwork, and cranked at 300 mm to suit 50mm cavity. 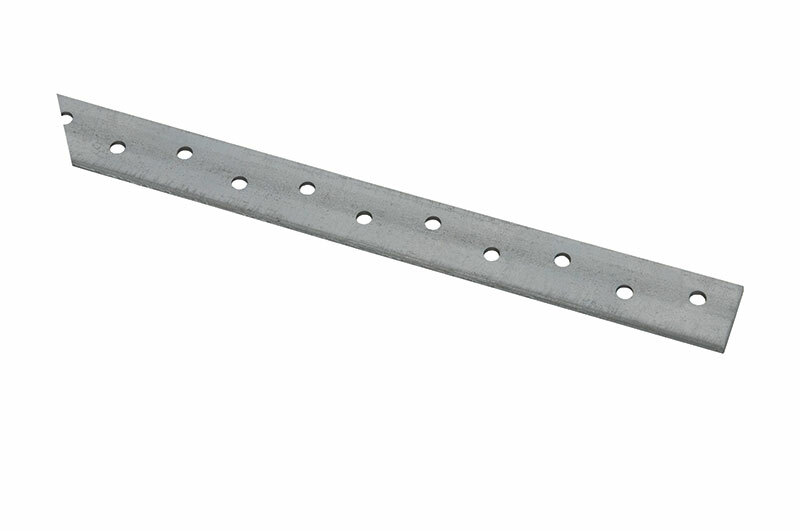 Non - standard restraint straps are available hot dipped galvanised to BS EN 10346:2009 DX51D + G275, in the sections below and can be holed / bent / twisted to suit. 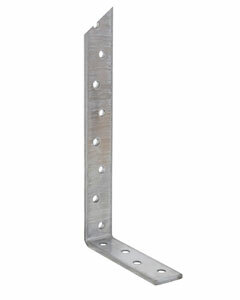 Available in the following sizes: 40 x 5mm, 50 x 5mm, 60 x 5mm, 75 x 5mm, 100 x 5mm. 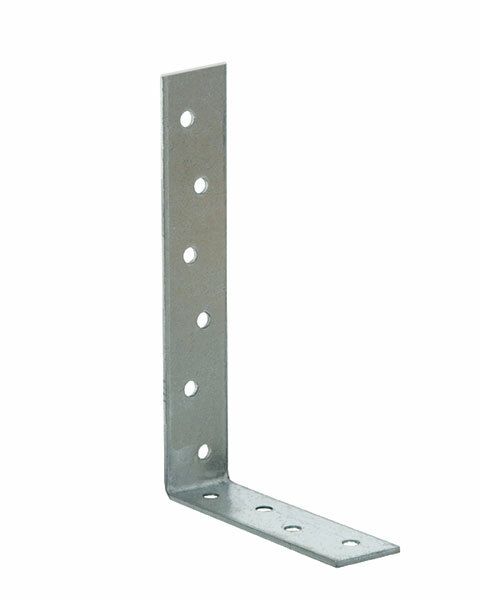 Non-standard sections available, price on application.